Despite a parent’s best efforts to provide their child with an overall healthy and well-balanced diet, the reality is that most children are not getting the complete nutrition they need. To make matters worse, trends in food consumption indicate children are eating larger portions; drinking less milk (but more fruit juice and soda); eating more calorie-rich, nutrient poor meals away from home; and skipping breakfast. [vi] These poor food choices and unhealthful eating trends are fueling the childhood obesity epidemic as well as increasing the prevalence of diseases that rarely were diagnosed in children until the past 15 years—including hypertension, elevated cholesterol, arthritis and other orthopedic problems, and a frightening increase in the diagnoses of type 2 diabetes. Given these unhealthful eating trends and suboptimal nutrient intakes—combined with the fact that many essential nutrients are not stored in the body and must be supplied in the diet on a regular basis—parents should be encouraged to provide their infants, toddlers, and young children with a comprehensive multivitamin-multimineral supplement to fill in nutritional gaps caused by dietary shortfalls. DHA—or docosahexaenoic acid, one of the omega-3 fatty acids used most readily by the body—is found in fatty fish, yet children consume only 20–50 mg of DHA per day. And because of the growing concerns about environmental contaminants in our fish supply, the FDA and EPA advise young children to limit their fish intake. [xii] Supplementation with a high-quality dietary supplement that uses highly purified fish oil offers a means for safely providing DHA to our children without worrying about the mercury and other environmental toxins present in the fatty fish that provide the food source of DHA. †Data from U.S. Department of Agriculture Continuing Survey of Food Intakes by Individuals (CSFII) 1994-96. ‡Data from What We Eat in America, NHANES 2003-04, U.S.D.A. 2007. **Data from: Journal of Nutrition 2005;135:2478-85. [i] Position of the American Dietetic Association: Dietary guidance for healthy children ages 2 to 11 years. JADA 2004;104:660-77. [ii] Harnack L, Walters SA, Jacobs DR. Dietary intake and food sources of whole grains among children and adolescents: Data from the 1994-96 continuing survey of food intakes by individuals. JADA 2003;103:1015-19. [iii] Fox MA, Reidy K. Novak T. Sources of energy and nutrients in the diets of infants and toddlers. J. Am Diet Association. 2006;106:S28-S24. [iv] Report card on the diet quality of children. Nutrition Insights: A publication for the USDA Center for Nutrition Policy and Promotion. October 1998. [v] Report card on the diet quality of children. Nutrition Insights: A publication for the USDA Center for Nutrition Policy and Promotion. October 1998. [vi] Report card on the diet quality of children. Nutrition Insights: A publication for the USDA Center for Nutrition Policy and Promotion. October 1998. [vii] National Academy of Sciences Institute of Medicine—Food and Nutrition Board. Dietary reference intakes for energy, carbohydrate, fiber, fat, fatty acids, cholesterol, protein and amino acids. 2002-05. [viii] Information obtained on 3.13.09 from: www.issfal.org.uk/recommendations- of-others.html. [ix] American Dietetics Association. Position of the American Dietetics Association and Dietitians of Canada: Fatty acids J Am Diet Assoc. 2007;107:1599-1611. [x] Madden SM, Garrioch CF, Holub BJ. 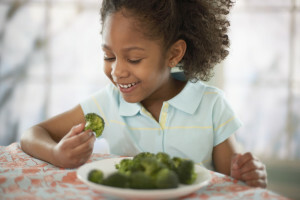 Diet quantification indicates low intakes of (n-3) fatty acids in children 4 to 8 years old. J Nutr. 2009;139:528-32. [xi] Ervin RB, Write JD, Wang C. et al. Dietary intake of fats and fatty acids for the United States population: 1999-2000. Advanced Data. Vital and Health Statistics, Number 348, 2004.